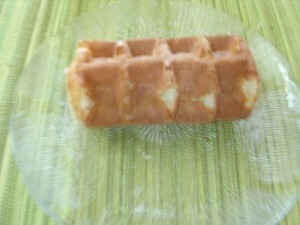 Begin heating a Belgian Style Waffle Iron. Carefully separate the Egg Yolks from the Whites, being sure not to get any yolk in the White. Place the Egg Whites in the bowl of an electric mixer; add two more Whites to the bowl. Combine the Flour, Baking Powder, Nutmeg and Salt and set aside. Whisk in the Milk, Vanilla and melted Butter. Stir in the Flour mixture, being careful not to overbeat. Beat the Egg Whites with the whisk attachment until medium peaks form. Add the Waffle Batter to the Egg Whites and gently fold the two mixtures together. 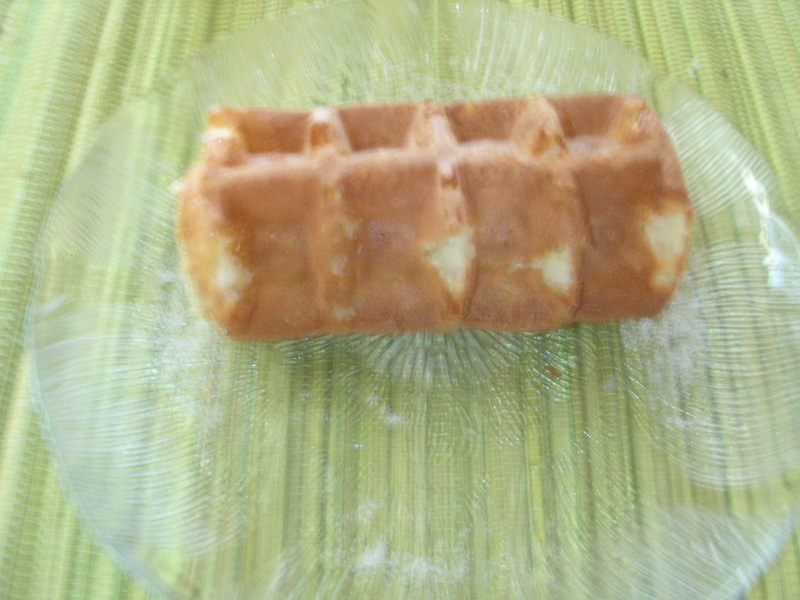 Lightly spray the grids of the waffle iron; when the heat indicator goes off, add about ¾ cup of Batter to each section of the Iron. Bake for about 2-3 minutes per waffle. Serve with Whipped Cream and Fruit or Hong Kong Style with Peanut Butter and granulated Sugar on top. These waffles are so soft that they can be rolled up to eat.